Sydney Shop Girl: That One Time I Bought An LA Based, Vanity Fair Endorsed Skincare Brand From Sephora In Singapore: A Review and A Memory Revisited. That One Time I Bought An LA Based, Vanity Fair Endorsed Skincare Brand From Sephora In Singapore: A Review and A Memory Revisited. I've got a holiday skincare find to share with you today. So if you're ready for the backstory then the brand history and then a bit of a review, sit back and let the words wash over you. I love discovering skincare brands that just work from the moment you first use them. It's especially rewarding when you stumble upon the brand whilst on holiday (as opposed to having it been sold hard at you). Without the hard sell, it seems easier to be both objective and realistic in what the products may or may not be doing to your skin. It's pretty much testing the products blind and, I have to admit, something I've not done in a very long time. The place was Ngee Ann City, Singapore. And the date March 8 2016. I remember it all so well. I was doing the most logical thing you can do on Orchard Road when the heavens suddenly decided to open upon its gleaming buildings and perfect sidewalks. I went indoors and underground and lost myself in the seemingly endless eating and shopping options that are your average mall on Orchard. Sephora is always a good place to start when you've hours to spend just browsing. I actually did have something in mind to look for at Sephora. I'd travelled just a little too light for this trip and was short on cleanser and toner. I was looking for something hopefully in a travel size and sold as a duo. This set by ARCONA fit the bill and I found it near the cashiers in the travel sized goodies displayed much like the way chocolate is presented at your average checkout at Coles or Woolies. I used the white tea cleanser and raspberry toner that night and felt an immediate difference in my skin. It felt smoother and more plumped out. I also noticed that all my makeup was removed as well. I was tempted to put it down to new product euphoria but strangely, the effect seemed to continue each time I used my 'Glow & Go' duo. I was almost sad when I got home to Sydney from Singapore. Not just because our holidays were over but because it meant that my new skincare finds would be packed away until my next trip. Curious about just what and who ARCONA is, I started doing a bit of research into the brand. ARCONA is a skincare brand founded by the late Arcona Devan. 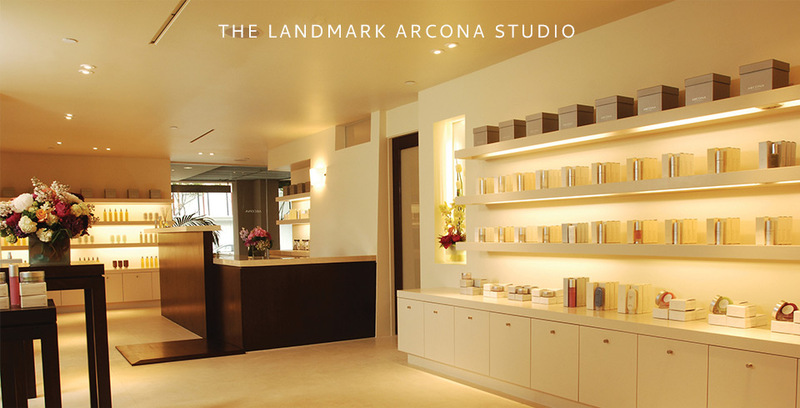 The Arcona Studio is a day spa in Santa Monica that looks like heaven and is apparently much loved by all at Vanity Fair. The success of ARCONA's products was initially spread purely by word of mouth but these days, its products are stocked all over the world. Outside of the original Studio, online retailers seem to be the most accessible way to purchase. In Australia, Sense stocks the range however the official ARCONA site has an online shop that delivers worldwide. Independent retailers that stock ARCONA boast an impressive number of customer reviews praising the effect of ARCONA on their skin. Interestingly, Sephora does not seem to stock the full ARCONA range despite stocking the travel duo. Much is said about the ethos of skincare brands, their unique selling points, which celebrities consider them oxygen and all manner of impressive and seemingly 'scientific' benefits as demonstrated by positive looking graphs and percentages. To most people though, I think what matters is that products work for them. Other criteria that may be of relevance include whether the way the range is made stands in line with their personal beliefs about animal testing and also the exclusion of particular ingredients. Cost is also a big factor and I admit that ARCONA is not cheap. If ordering from a US retailer, postage is often around $50USD for an order of five or so items. ARCONA describes its products as being 'high quality, luxury formulations and their unparalleled ability to make a positive change to the skin'. The products are 'scientifically tested' according to the website and no statement is made specifically about any testing that may occur on animals. There are no petrochemicals, binders or fillers in the range. There are detailed ingredient listings for each product on the website. I started my proper, back home in Sydney ARCONA trial with a travel sized set of The Basic Five for dry skin. From Sense, the set cost $158 with a discount running at the time of my order. The average size of each item was 15ml. I've been using the set for a week and have barely made a dent on any of it. A few photos of how the set is presented. Included with the set is a routine to guide you on the use of The Five. I'm always up for something new with a skincare regime. This is the first time I've ever seen a seven day prescription rotating the way products are used each day so I was intrigued from the moment I opened the box. Then I spent a few minutes identifying each of The Five on the schedule and mentally figuring out how it was all going to work each morning and evening. I've stuck the treatment plan on the inside of my bathroom cabinet for safe keeping and easy reference. And my tube of Golden Grain Gommage features a complete set of Preschooler sized toothmarks down one side. As it should. The Gommage is a mechanical exfoliator with corn, oats and glycolic acid making up some of its key ingredients. The Kiwi Cream Bar comes in a solid plastic screw top jar that would travel well. It doesn't feel like soap at all on my face even though that's what is looks like. It just feels like a very effective but gentle cleanser. Solid, practical packaging with clear instructions for the way each item is to be used. A little goes a long way, which is handy given the price point. While no fragrances are added, many of the products have a unique scent. Nothing overpowering but Desert Mist for example, smells like toffee to me. I was surprised at how 'thin' in texture the serums and moisturisers were. I'm so used to slathering on heavy creams and oils onto my skin thinking that they'd be more effective on my dry skin that it took a leap of faith to follow the ARCONA regime and not add any of my other potions and lotions on top of it all. No breakouts, skin peeling or allergic reactions so far. No issues with using makeup over these products (i.e. slippage, greasiness or dry patches). The Basic Five doesn't include a toner or eye creams, items I've been using out of habit for a very long time. I'm not sure if I even need them with The Five but I may try ARCONA versions with a future order and report back. I like that the regimen is quick and easy (one you get the hang of what to use at what time of the day). No waiting around for masks to do their thing. No fancy brushes or other bits of equipment. It just feels smoother and firmer. I have a glow - despite being in the throes of a cold and a sleep deficit. Makeup sits better on my skin. I've handled four hair elastics on my wrist level of busyness days (i.e. 11/10 busy) days with hardly any of the stress registering on my face. I've looked so ageless in the face that someone thought this outfit was my school uniform from way back in the day. And I've been embracing the LA love of clean eating with Passion. These Roasted Wild Seaweed Flakes from Costco are amazing with brown rice dressed sushi style, by the way. They have a lovely flavour and a bit of toasted white sesame in them. Make them number one on the list for your next Costco run. A carton contains 4 sachets and each sachet has eight serves, I've equated one serve to be used per one cup of cooked rice. I might be wrong but it's working for me. Close of up the sushi flakes. Sorry about the lighting. Was 6am or something when I was making my rice up. This was my production line of Cookie and Kate's Veggie Sushi Bowls being made for future lunches this morning. What's news with you in the skincare stakes? I've been working my way through all the French skincare I picked up last year. I also have myriad little bottles of things from various subscription boxes, so I'm trying very hard to work my way through all of those before I buy anything new! That line sounds great though, if/when I work my way through my skincare mountain I will be sure to check this out. I'm pleased it's having such a good effect on your skin already. Can't wait to read about your thoughts on your French skincare haul, Rachel. Interesting. I'd like to know your thoughts if you ever try their eyecream. I'm using Alpha H eye cream at the moment as it has an spf. I'll let you know. Can't remember much being said about SPF in general with ARCONA products, unfortunately. Love new skincare finds that make a real difference! After catching sight in of my reflection whilst on a minibus in Hong Kong & being horrified to see some fine lines on my forehead, I started a mad search for some new products. Anything was a step up from my very basic routine, but I somehow decided on the Clinique Smart Custom Repair serum. Within hours of using it I couldn't stop touching my skin as it seemed so smooth. After a few days people were complimenting me on my smooth and clear skin. The touch test continues to this day, months later, I still touch my cheek and can't believe how smooth and soft it is. No sight of those fine lines either, but think I'll need to go back to HK to check my reflection in the minibus just to be sure. That Smart Custom Repair serum sounds like the bee's knees, Suzi! Glad you discovered it.